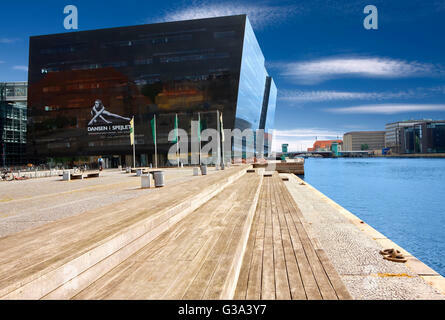 The Black Diamond from 1999 at the waterfront in Copenhagen, Denmark. 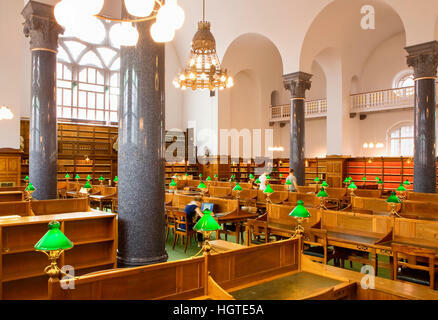 The building is housing the Royal Library and is a culture centre. 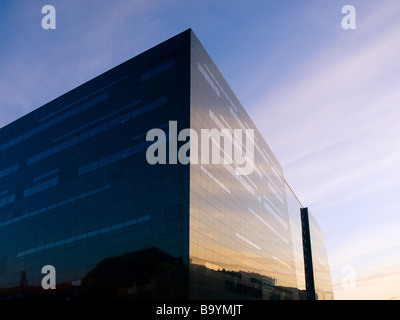 Designed by the architects Schmidt Hammer Lassen. 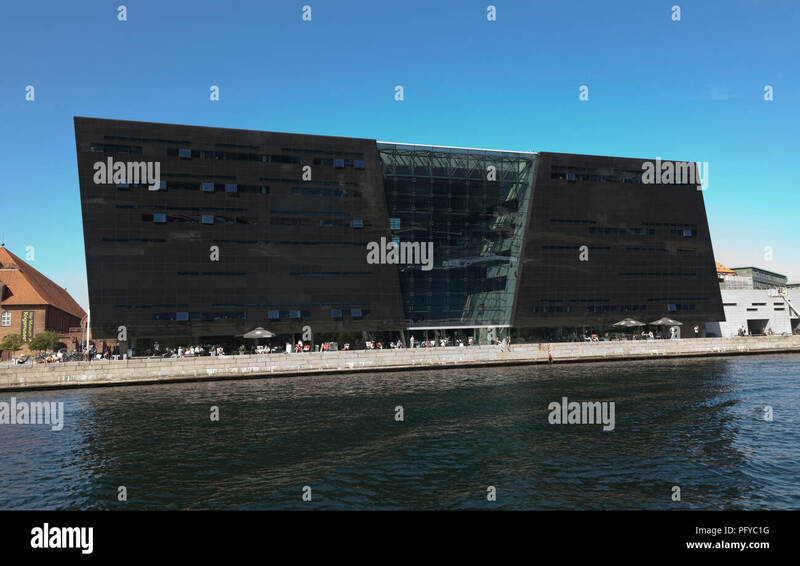 The shifting light during the day and night and shifting activity in the harbour create exciting effects and reflections in the black and glassy building. 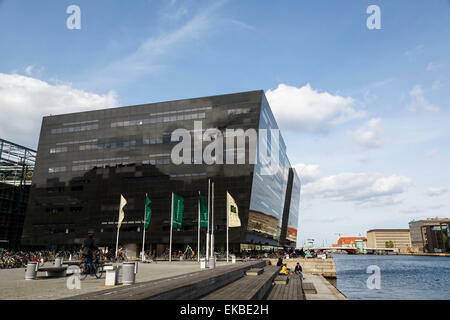 The Royal Library (the Black Diamond) in Copenhagen, Denmark. 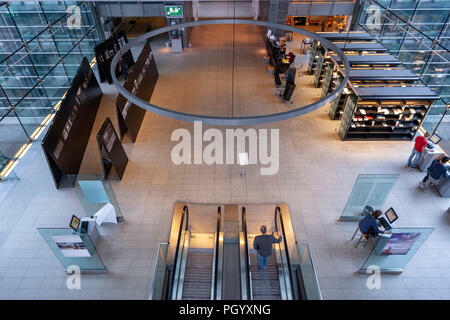 Entrance to the lending section in the Royal Danish Library, The Black Diamond library, Slotsholmen, Copenhagen. 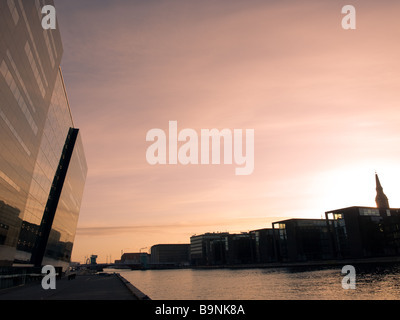 Sunrise in Copenhagen, Denmark. 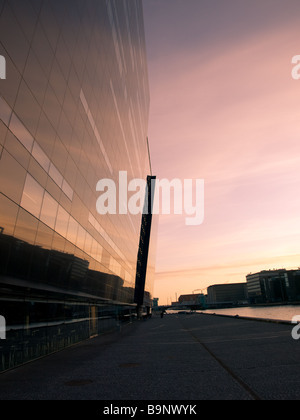 The Royal Library (the Black Diamond) towers to the left, blending into the morning sky. 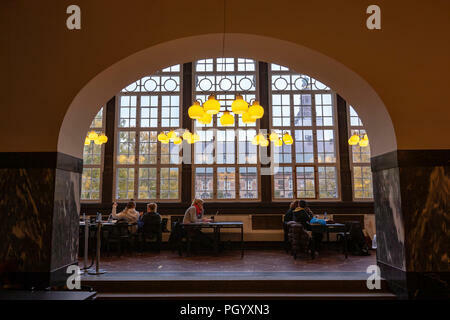 Studying in the cafeteria of the Royal Danish Library The old building, The Black Diamond library, Copenhagen, Denmark. 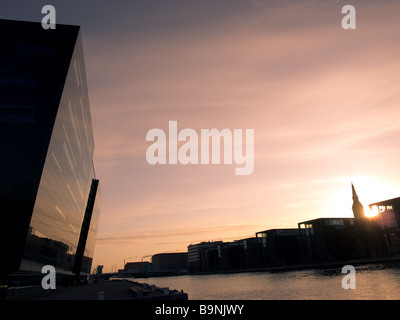 Sunrise in Copenhagen, Denmark. 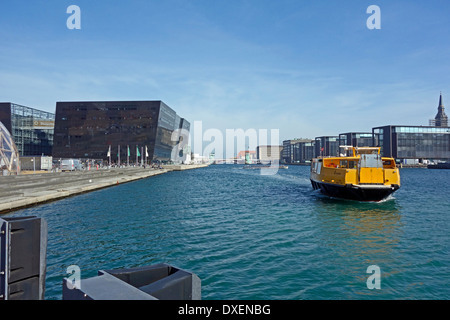 The Royal Library is at the left, while the buildings of Christianshavn are at the right. 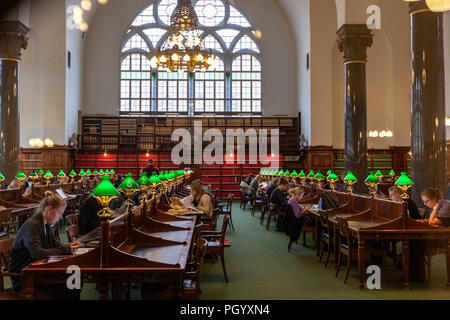 People in the reading room of the Royal Danish Library The old building, The Black Diamond library, Copenhagen, Denmark.